As I write, the days are getting longer and the anticipation of sunshine, warmth, and flowers flows through the veins. Pre-season baseball activities are a beacon of summer to come. And graduates-to-be across higher education are anticipating their next move. And it’s snowing—wouldn’t be March without that, too. Every year, especially from mid-January through April, we receive a couple of hundred sparky cover letters, resumes, and requests for informational interviews, internships, and jobs. These come from students who are just completing their studies in anything from culinary arts to policy to economics to anthropology to science to political science. Their interest in the work we do is enormously complimentary. 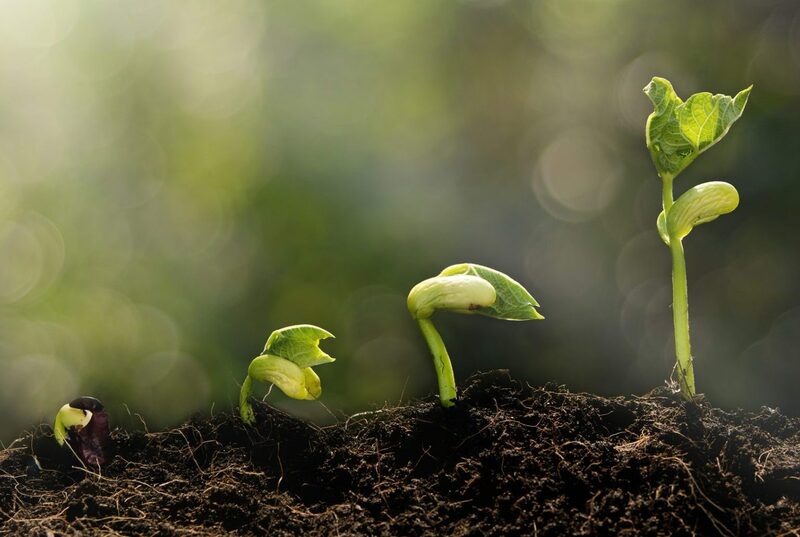 We have contemplated developing a robust internship program here at KK&P, and have looked at the experiences of past interns and about what makes a quality internship program. The answers are pretty consistent: exposure to clients and projects; having the ability to contribute positively to a team; dedicated staff supervision; setting goals; and a potential career pathway. Sometimes we are able to support these requests, but other times, unfortunately, we are not. Last December, a little ahead of the curve (you see, I am thinking baseball), I received an internship request through LinkedIn from as far afield as ever: A former industrial engineer turned marketer for appliance brands in India, a Northern Indian woman who established a fun and picturesque food blog wrote to propose doing a marketing internship with us. We invited Abhilasha in for an interview. Here she summarizes her background, her passion for food, and her interest in KK&P. Food, Cricket, and Bollywood are possibly India’s three biggest obsessions. The three undoubtedly define our identity and our personality to the core. Food in my country is almost like a religion. Every region has its own unique repertoire of ingredients, tastes, textures and techniques. In many ways, the food culture is truly a slice of history of the land. Like a thriving fabric woven over 3,000 years, by people, empires and civilizations long gone. The food complex in India has evolved, transformed, and truly survived the test of time. 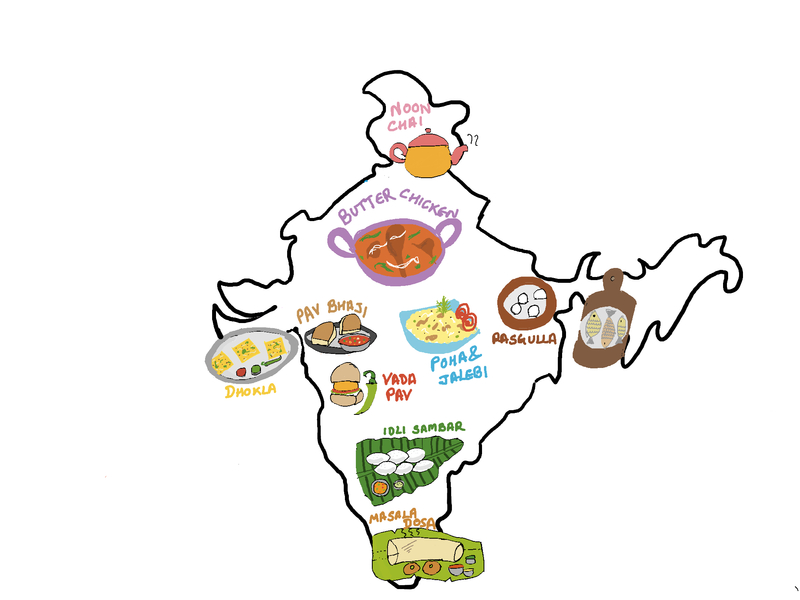 A diagram created by Abhilasha, putting popular Indian cuisine into a geographic context. While growing up, my father, a government officer, was required to move every few years. I was fortunate enough to have received numerous opportunities to travel all around India and experience much of said diversity of foods. 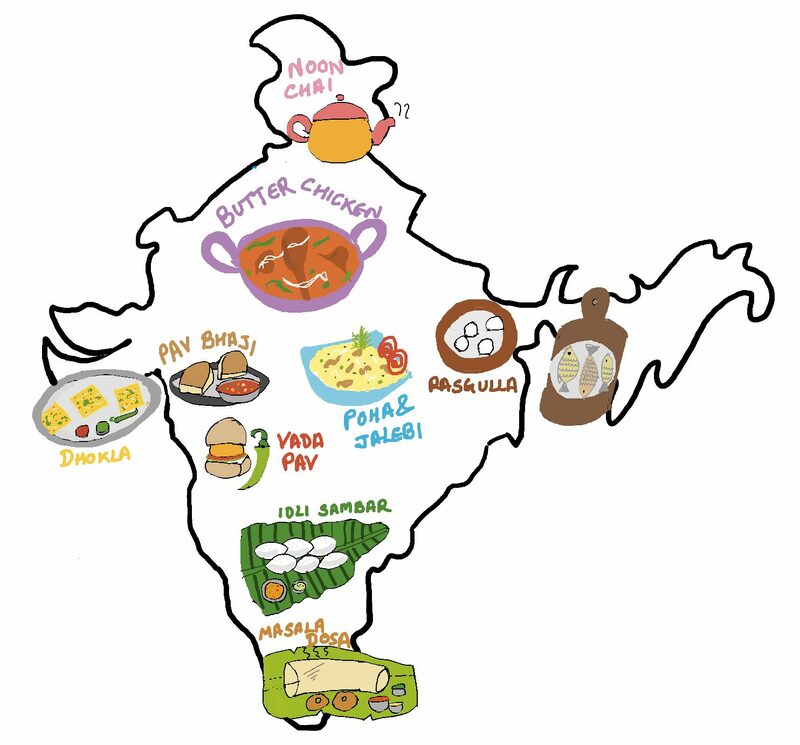 My early memories include tasting one of the finest Kebabs of Lucknow, the sweet-tangy spicy Chaat of Delhi, and the buttery Pav Bhaji of Mumbai. To this day, I plan my vacations with food being the prime criteria. And of course, I was always fascinated with the stories and anecdotes associated with food, like how the “Gaulauti Kebab,” a personal favorite, was developed originally for a meat-loving Nawab of Lucknow with no teeth. Today, it is famous as a succulent delicacy which melts in the mouth. My decision to work in the food industry stemmed from growing up in a country like India and its celebratory attitude towards food. Still, it took a while before my passion of food could become a professional undertaking as well. I studied engineering and then went on to complete my MBA in India. Although they provided me with a valuable platform and a wide range of skills, I wasn’t passionate about the industry sectors I worked in. When I later moved to New York and started my own food blog, the choice became apparent to me. Interning with Karen Karp & Partners is a huge opportunity for me to explore my interests further while gaining exposure to the food industry in United States. Abhilasha started last week and already she’s been a huge help. Working with our first-ever marketing manager, Andrea Juda, who started last summer, Abhilasha is helping support the collation of 27+ years of files, content, and projects into usable systems and formats. 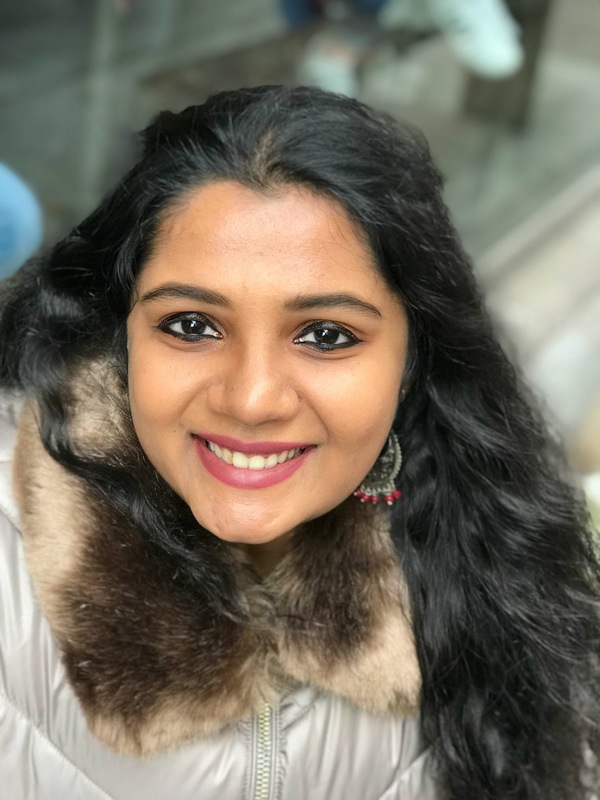 But what we are probably most excited about are the opportunities to learn from her—about India, about what it’s like to immigrate to the U.S. in these times, about her experience working for large companies entering the Indian market, and about Indian cooking, of course! We don’t want to stop the flow of smart, well-educated prospective interns with good experience reaching out to us, but I would like to offer some tips (and a caveat: we are not accepting any more Spring or Summer interns at this time). We love compliments, but what we love more is seeing what a prospective intern might bring to our team and projects: Share what you’d bring to us, share your skills and expertise. Be as specific as you can be in your cover letter about your career interests, time table for an internship, and expectations about compensation. Do your research: cite some of our projects and what interests you about them, what you could contribute to projects like them that we might be working on now. See if you’re connected to any of our staff through social media, and find something out from them about working with us before sending a request. Internships are two-way streets: Emphasize how having you on our team will provide value to us. At the same time, we will consider whether we can responsibly host you to provide the most value to your career development.